But there is much more to learn about the Red, White and Blue than one might imagine. Sure, most people know that there are fifty stars for fifty states, but not many understand the history or proper care and disposal of our nation’s most sacred symbol. 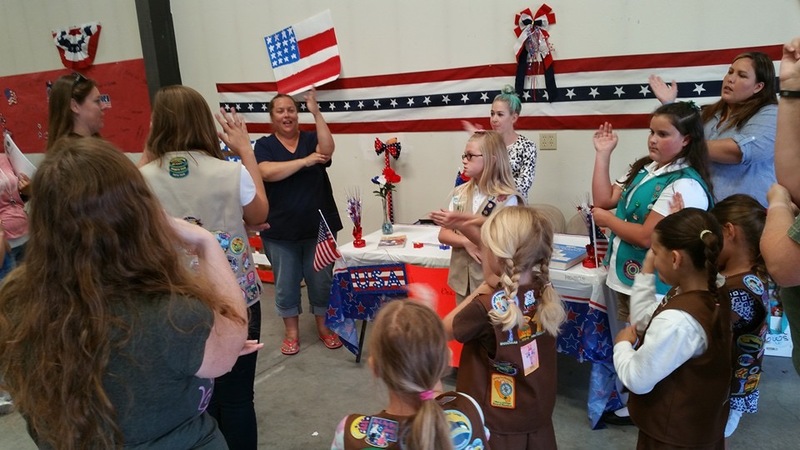 In order to educate young people about the American flag, the Girl Scouts of San Gorgonio Council (GSSGC) hosted United We Stand, a flag education class created by Mary Sawyer, Director of Program. The event was held at GSSGC’s High Desert Regional Service Center in Victorville, CA on June 11, 2016. United We Stand went over the history of our national flag, how to display it properly, flag flying days, how to properly place the flag among other flags, how to properly fold a flag and acceptable ways to prepare a flag to be retired. 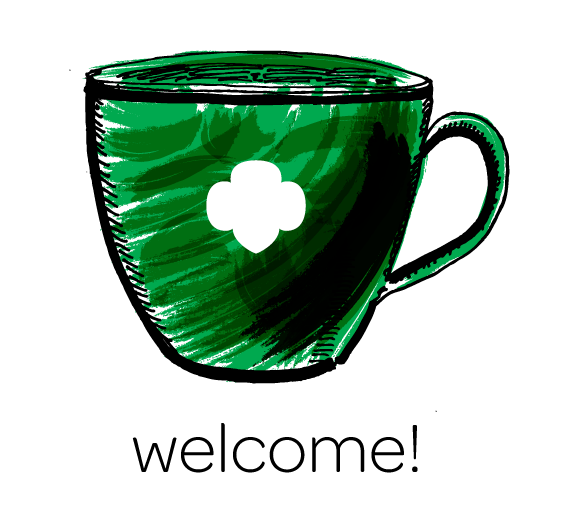 These are great techniques for Girl Scouts who often present at official state and local government ceremonies. Several stations were set up for girls to learn from hands-on activities. At one station, for example, Boy Scouts and Girl Scouts learned how to properly cut and retire flags. Each group was given a flag and shown how to carefully cut the stripes and the stars into individual pieces. Flag etiquette was explained and participants learned the standards of respecting flags and how to properly display a flag indoors versus outdoors at important events. This activity was run by Jessica Workman, of the American Legion. Workman said she believes, “it is important for girls to learn about patriotism.” American Legion, Post 229 delivers clothes to homeless veterans along with letters to homecoming or deployed soldiers thanking them for their service. Another station featured a session with The Big Horn Mountain Men (BHMM), an organization that promotes interest and understanding in the art of buckskinning, and the legal and safe use of muzzle loading firearms. Kids were shown the proper use and care of tools, weapons and everyday items utilized by the outdoor living organization. Some of the items featured by the BHMM included handmade buttons, compasses, and a coyote fur hat. The volunteers explained how the participants could also make their own. Three girl-led projects also took place at the event. They were each part of a Take Action Project for a Bronze Award, Silver Award and Gold Award. 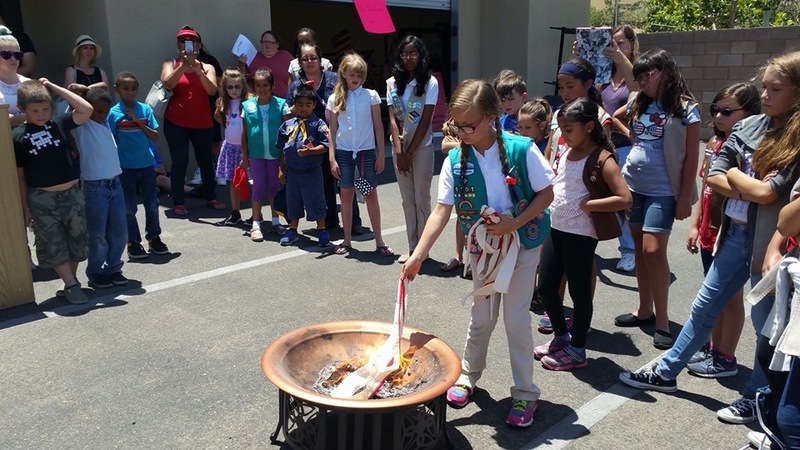 Venora S, a Girl Scout Ambassador, did her Gold Award Take Action project on flag education and Memorial Day history. 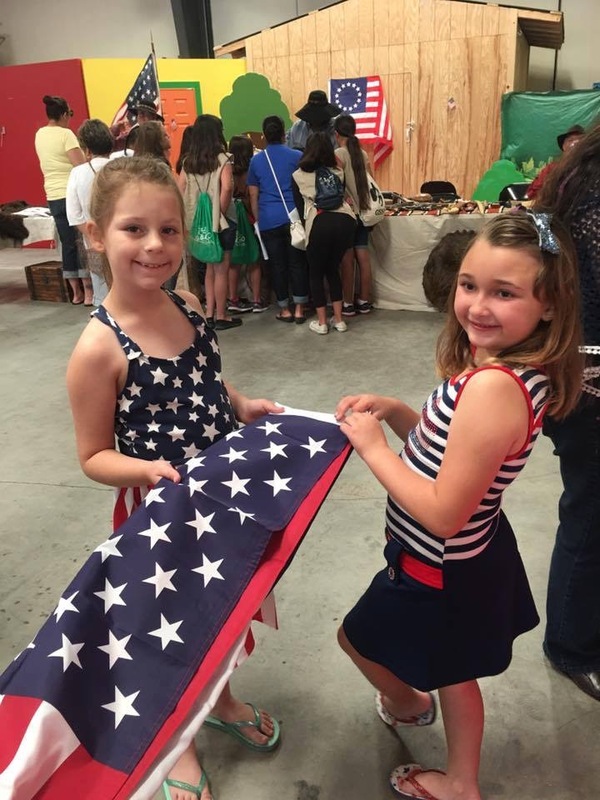 Venora knew this information was not commonly taught in schools, so her project taught about the history of Memorial Day and what patriotism means to young people through art. Venora asked participants to paint whatever they felt was important to them, and the result was American flags, soldiers and even fireworks. 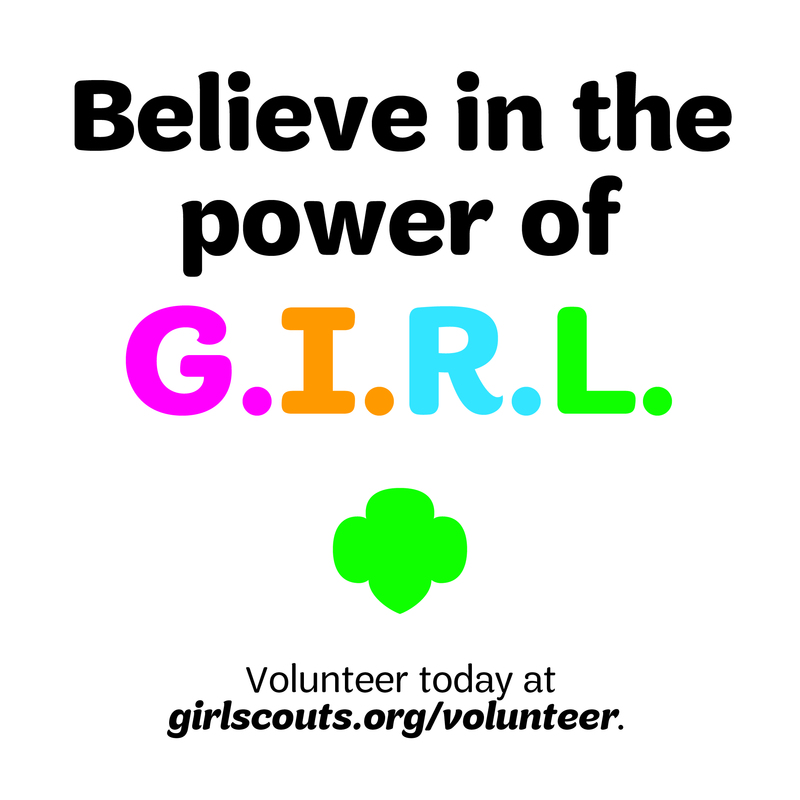 Her overall goal was to ensure Girl Scouts understood the importance of patriotism meant and how to respect our troops and all people in our nation. Venora found an art teacher that works at Victor Valley High School that was willing to carry on the activity with her students. On Veterans Day she will conduct an education class on the history of the holiday. 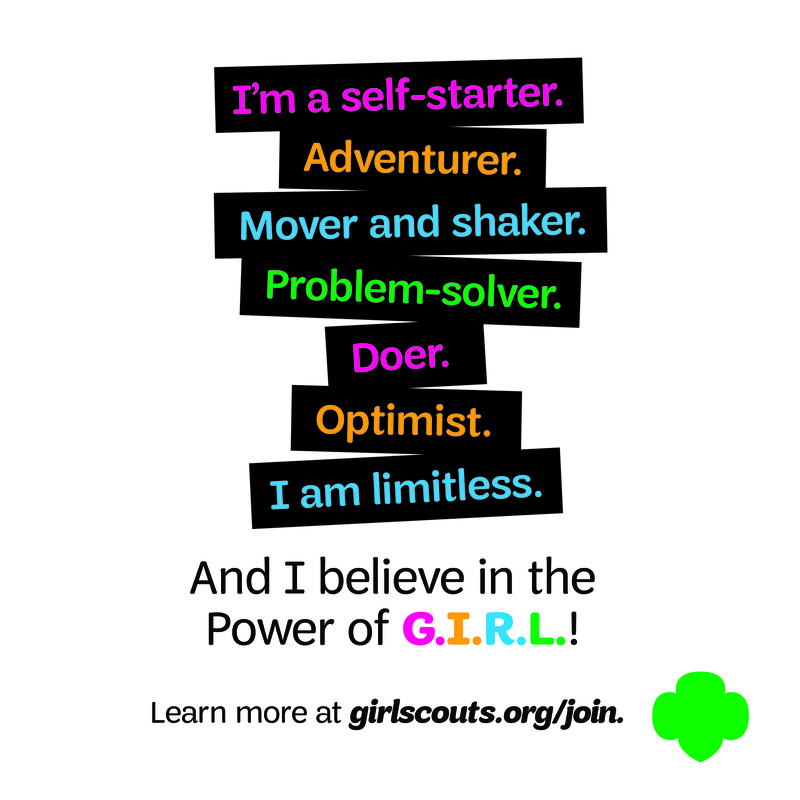 Emma S, from Troop 1102, conducted the Silver Award project. Her project taught other students how to say the Pledge of Allegiance in American Sign Language (ASL), a very personal project since Emma she is deaf herself. She wanted to share ASL with The Girl Scout community. Emma knows that there can be language barriers and wanted to make people aware that signing is an important skill to learn. To Emma and others like her, ASL is more than just a form of communication, it is a culture. Allison W led a team of US veterans to properly burn (did you know there is actually a correct way to burn a flag?) and distribute the ashes of a flag for her Bronze Award Take Action project. 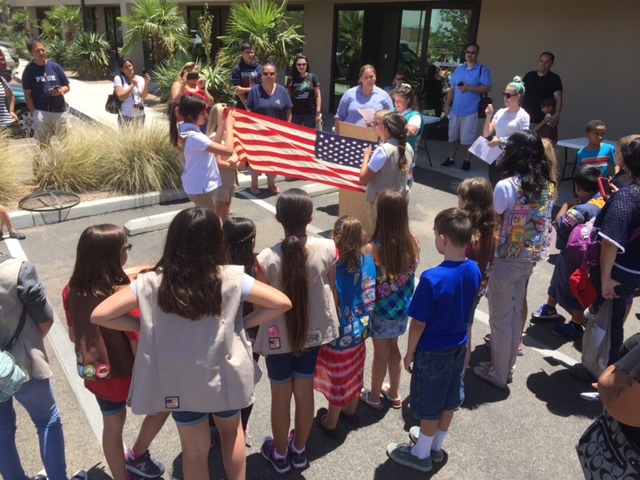 At the end of United We Stand, Girl Scout Troop 1102 had the opportunity to conduct a proper flag retirement ceremony for the crowd. Previous Previous post: 2015 Cookie Dough Expires Today – 3 Ways To Use It Before You Lose It!